A new version of a costly, purely bombastic computer with a credit card size. Perfectly serve as a multimedia center in the living room alongside your television. For this purpose, it is greatly matched with a powerful, composite output chip with HDMI-capable sound. You will play most of the available formats with it. Even a H.264 video with a bit rate of up to 40 Mbps, which corresponds to Blu-ray quality, is even expected. With a network card connection, it is also suitable for surfing the Internet. A new version of the cheapest, most basic computer that is the size of a credit card is here! It can serve as a multimedia center in the living room alongside your television. For this purpose, you'll appreciate the powerful, composite output chip with HDMI-capable sound that has been added to the basic package. You can play most of the available formats. It even allows for H.264 video bit rates up to 40 Mbps, which corresponds to the quality of Blu-ray. It is also suitable for surfing the Internet with a connectivity network card. The computer is supplied in the form of a motherboard equipped with all the necessary hardware except storage. As an operating system you get only an SD Memory Card with a minimum 2GB. Linux Debian and other Linux programs can be used and Google Android is also planned for the future. The power from the USB port on your TV, for example, does not exceed 1W. The Raspberry Pi Model B 2 may also be used as a computer easily adaptable to the fields of automation and security of buildings. For these purposes, programmers will certainly appreciate the GPIO interface. 4 USB connectors serve to connect a mouse and keyboard, or hold flash drives and external drives. 0.7 GHz (700 MHz) Done! 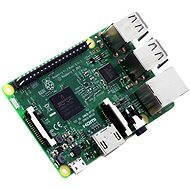 For shipping to other EU countries visit this page Raspberry Pi Model B +. Für Versand nach Deutschland, besuchen Sie bitte Raspberry Pi Modell B +. Chcete doručit zboží do Česka? Prohlédněte si RASPBERRY Pi Model B+. Chcete doručiť tovar na Slovensko? 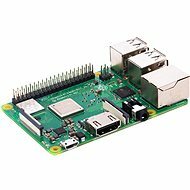 Prezrite si RASPBERRY Pi Model B+. Magyarországra történő kiszállításért tekintse meg ezt a termékoldalt: Raspberry Pi Model B +.